Filed to: The Fall of the Walled Garden?Filed to: The Fall of the Walled Garden? The Fall of the Walled Garden? The case will not, no matter which way it swings, take down Apple’s iOS walled garden—but it could compel the company to at least install a door. All four liberal justices clearly were skeptical of Apple’s monopoly and were joined at points by three conservatives: Associate Justices Samuel Alito, Neil Gorsuch and Brett Kavanaugh. 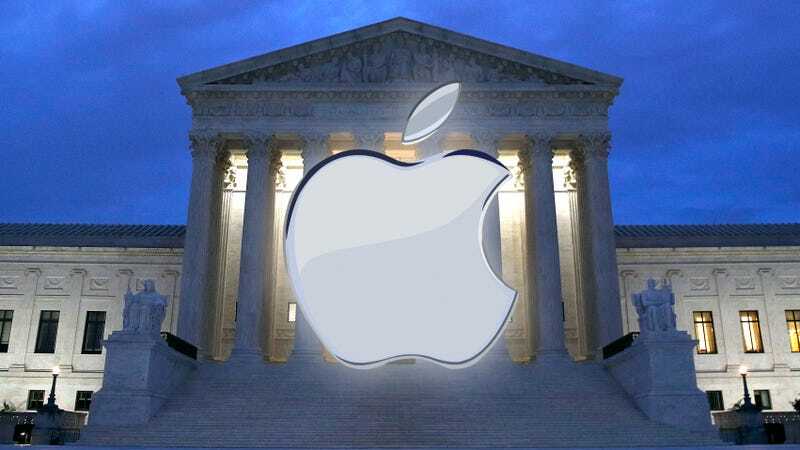 The reports coming out of the courtroom almost universally agree that the justices did not appear to be buying Apple’s arguments, and almost all used the term “skeptical.” But skeptical questioning could simply be the product of holding a thorough hearing. Chief Justice John Roberts seemed to be the only one on the court who was convinced that Apple’s case was sound, saying, “to the extent it might be said that Apple is a two-sided market, they’re—they’re subject to suit on both sides of the market for a single antitrust price increase that they’re alleged to have imposed.” In other words, Roberts was saying that Apple was vulnerable to the very outcome that Illinois Brick was designed to prevent—two distinct parties suing over the same offense. Justice Elena Kagan said that argument is wrong because the damages in each situation are entirely different. Kagan insisted that users would be able to sue because they’re paying too much and developers would be able to sue on the grounds of lost profits. Today’s hearing isn’t going to resolve anything about walled gardens in tech aside from consumers’ right to sue, but it did give us some hints that an argument could be made that developers and users have different complaints that they could potentially take to court. However you feel this case should shake out, the argument that Apple can be sued for its iOS monopoly seems relatively strong.